Could you use more maple in your life? Vermont’s The Maple Guild invites professional chefs, dietitians, food bloggers, home cooks, and anyone with a taste for maple-y goodness to bust out their aprons and cocktail shakers to enter the inaugural Maple It Recipe Contest. All entrants will receive a Buy One, Get One offer of any products from The Maple Guild. The Maple Guild is looking for creative recipe submissions showing how you can take classic and new dishes to a maplier level with the addition of The Maple Guild’s syrups, beverages, and award-winning maple vinegar and maple cream. Entrants will be funneled into three categories – Barbeque, Baked Goods, and Beverages – all judged by partners with expertise in the recipe category. Myron Mixon, the winningest man in barbeque, holding more than 200 competitive championships, and the star of Destination America Network’s BBQ Pitmasters will serve as the BBQ category’s partner and judge. His restaurant, Myron Mixon’s Pitmaster Barbeque, in Alexandria, VA uses maple syrup and sugar in recipes and cocktails. Jos. A. Magnus & Co., the national award-winning distiller from Washington, D.C., will judge all beverage entries. Designed to showcase the versatility of maple, the contest will award three total prizes, with one winning recipe in each category. 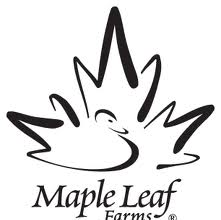 Each category winner will receive a year’s worth of maple products, sent in quarterly shipments, as well as a gift basket from the category partner. Judges will select the five top dishes in each category, and fans will be responsible for selecting the winning recipe. Submitted recipes can be an existing menu item or social media post, or a new dish created specifically for this contest. Whether it’s taking BBQ chicken glaze to the next level, drizzling infused syrups into your favorite cocktails or smoothies, or using it as a natural sweetener for your cookies and cakes, The Maple Guild wants to see how you “Maple It”! Baked Goods: Anything baked. Muffins, cakes, pies, Thanksgiving yams, pizzas – you name it! Entries will be accepted from August 23, 2017 through December 5, 2017. Anyone interested in getting their maple on can visit mapleguild.com/mapleit to enter or get more information about the contest. For more information about The Maple Guild, visit mapleguild.com.